Learn About The Power Of Fixed Wireless! 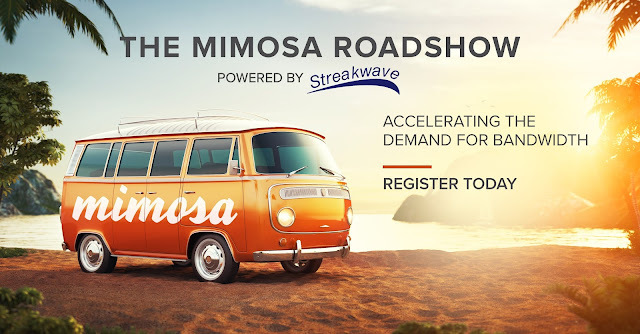 Streakwave and Mimosa are hitting the road this spring to share the power of Fixed Wireless Solutions. Please join us from 12 PM to 4 PM in Santa Clara, California to learn more. Lunch will be also provided. Service Providers of all kinds are encouraged to attend, including rural telco providers, cable operators, municipalities, and enterprise users who have fiber-fast connectivity needs. The material will be of interest to both technical and business staff. No prior experience with Mimosa, or outdoor wireless products necessary.